Cahuato, Orange Bells, dwarf variety. This hybrid is very slow growing and has well-branched, compact habit. It thrives in heat and blooms year round. Great for containers. 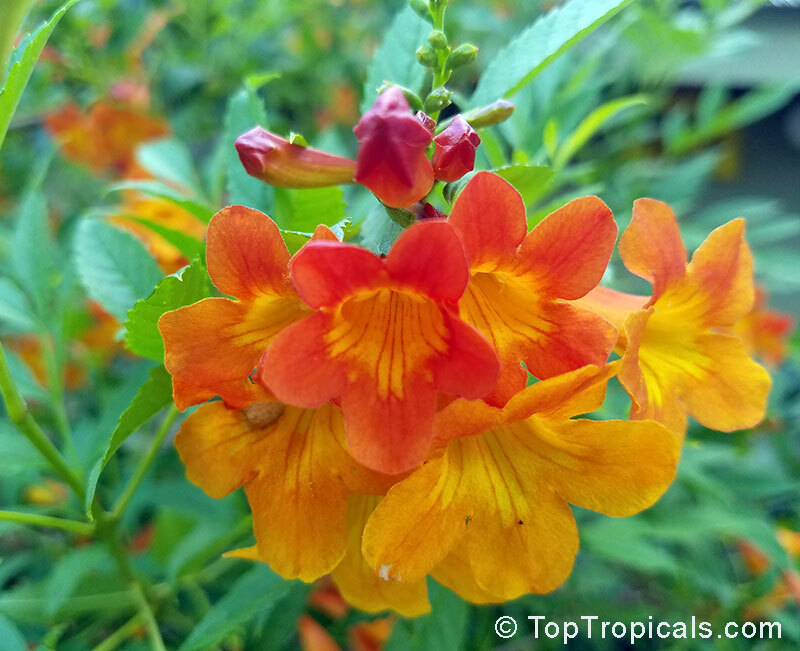 Beautiful loose clusters of orange trumpet-like blooms. Hardy to zone 8B.